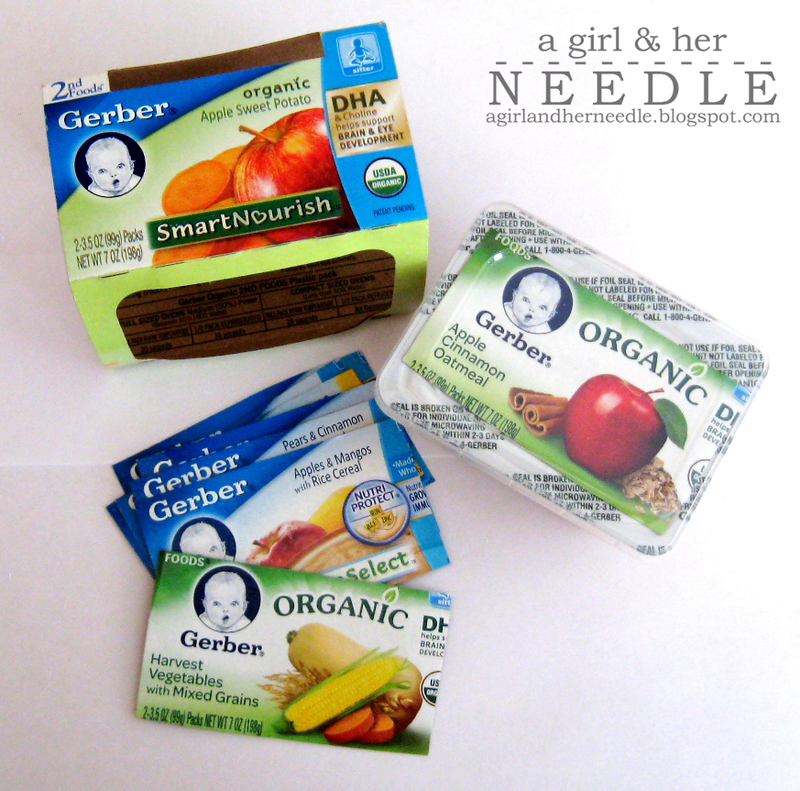 Around here, we are in the throws of baby food. The New Guy is mobile and HUNGRY. 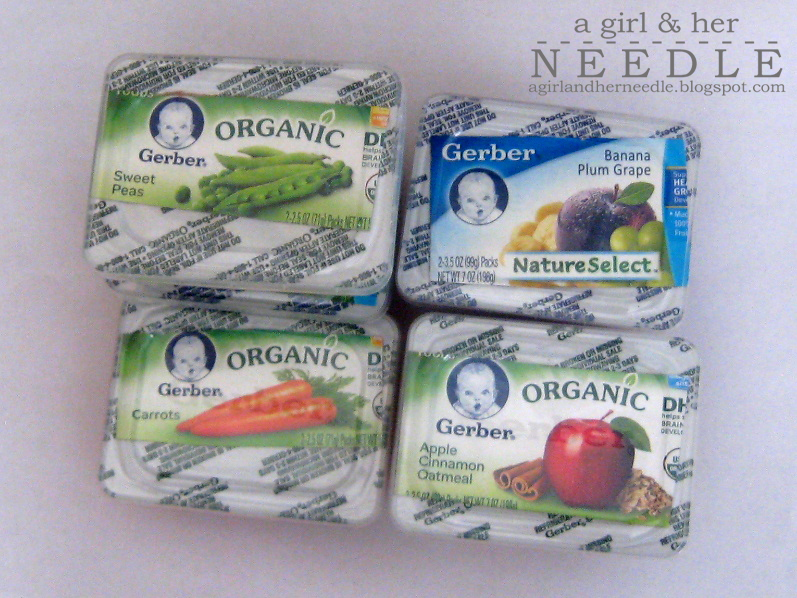 I don't know what it is about the label on the double pack of Gerber baby food that drives me crazy. 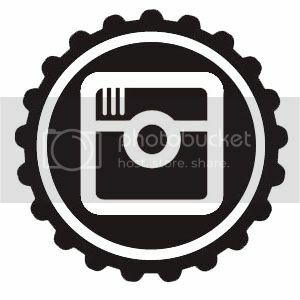 Once you remove one from the pack, the label either flaps around and gets in the way, or you toss it and you've then got to decipher the contents of the unlabeled food by the tiny stamped info on the side. Once I remove and use one packet of the two-pack, I simply cut the label and insert it just under the lid. Then, when the baby's eaten that pack, save the cut label and use it the next time I purchase that same flavor. This is especially helpful for baby food to go. When you're digging around in your diaper-bag, it's easy to see what food you've grabbed. Let me say, this has been a SANITY SAVER for me! Like I said, I really hate the labels floating around in my cupboard. I'll admit that if you like to see the labels when you open your cupboard, this is less than ideal. 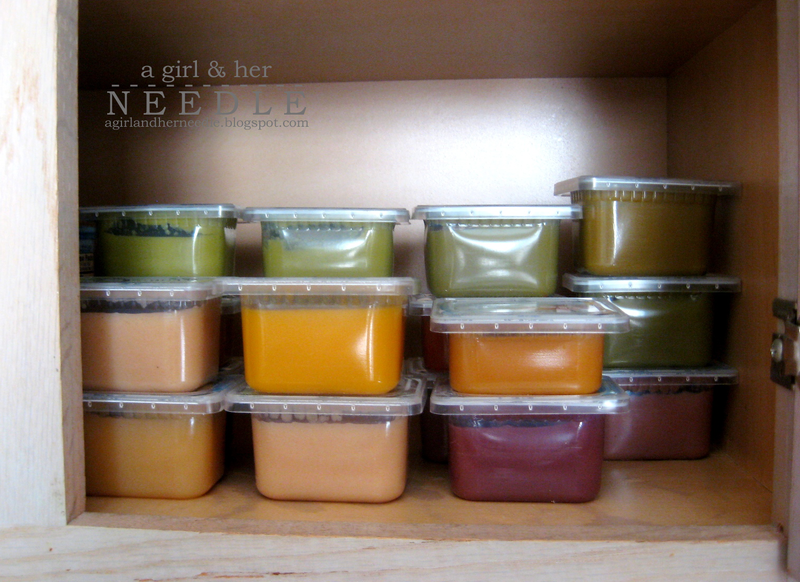 However, I like to sort and stack my baby food according to each day. That way The New Guy gets a variety of food to eat - and I don't have to spend any time thinking about what I have already fed him and what I'm going to feed him next. These little plastic containers are great to re-use when they're emptied and cleaned. Perfect size for kids snacks, earrings, rings, spices, kiddo knickknacks, etc. This article deals with several tricks and tips on how to deal with a picky eater. If you know such a person, then do not forget to read food & drinks deals. It will benefit you as well as the person on the long run.